The San Benito County Clerk’s division maintains copies of these records. 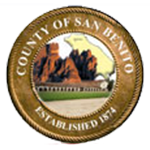 It is important to note that only records of events that happened within San Benito County (birth and death) or were sold in the county (marriage) will be found in our office. For a fee (please see our fee schedule), and upon request, copies of these records may be obtained by authorized individuals.